In 2016 a team of creatives came together to bring Christmas to children stuck in hospital during the Christmas Season at Monash Children’s Hospital in Victoria, Australia. This year, the team has expanded and it’s the desire of The Heart Project to bring this joy to children across the country. 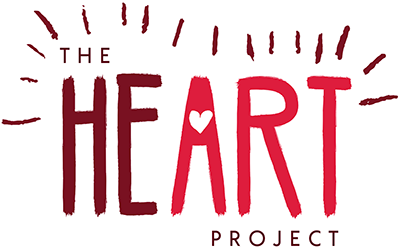 We are reaching out to Children’s Hospitals across Australia that would like to have The Heart Project bring this joy into their wards. Would your hospital like to partner with us this year to bring some extra joy to families? We would love to hear from you. We are sponsored by Adobe Australia and all costs are covered with thanks to the generosity of this wonderful organisation. As a commercial venture, this type of project would cost upwards of $30,000. But this is a gift, to the children and your hospital. We work with your media team to ensure the hospital gains some wonderful attention due to this heartwarming project. Last year this project went viral across the world and was featured in major publications and tv programs including Huffington Post, Vanity Fair, CNN, The Today Show and more. We need someone from the hospital to co-ordinate with us on the day to ensure children know where to come, and there are not delays, to ensure we get through as many children’s photos as possible. We require someone to co-ordinate with us at the end of the day so that we can visit the children with their surprise finished print. Please feel free to discuss with us further. We will be booking hospitals across Australia between the 1st – 6th of December, 2017.